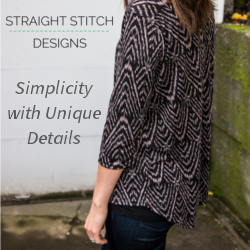 Most of my projects begin with “Oh I can sew that”, and everyone around me rolling their eyes. I pretty much say this about most things that can possibly be sewn, including baby shoes. 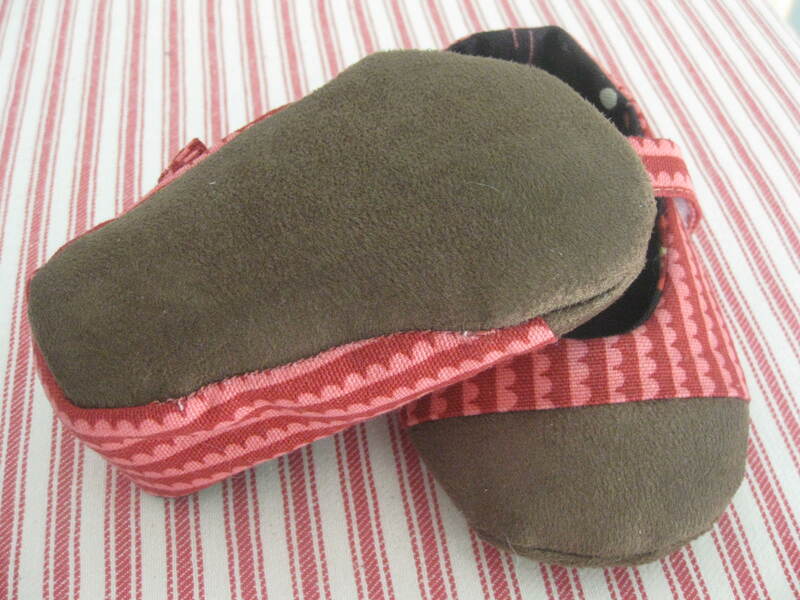 I had purchased some Tommy Tickle baby shoes for my first daughter, and I loved them. They were perfect because little baby feet are still developing their muscles and really shouldn’t have hard soles, and these shoes had suede soles. I must confess I put these old shoes on my second daughter, and after cringing about how absolutely worn out and dirty they were, and how my poor second child really has gotten nothing new, I decided I was going to make her first pair of shoes (commence eye rolling). I’ve never made shoes before. I haven’t even knit baby booties! 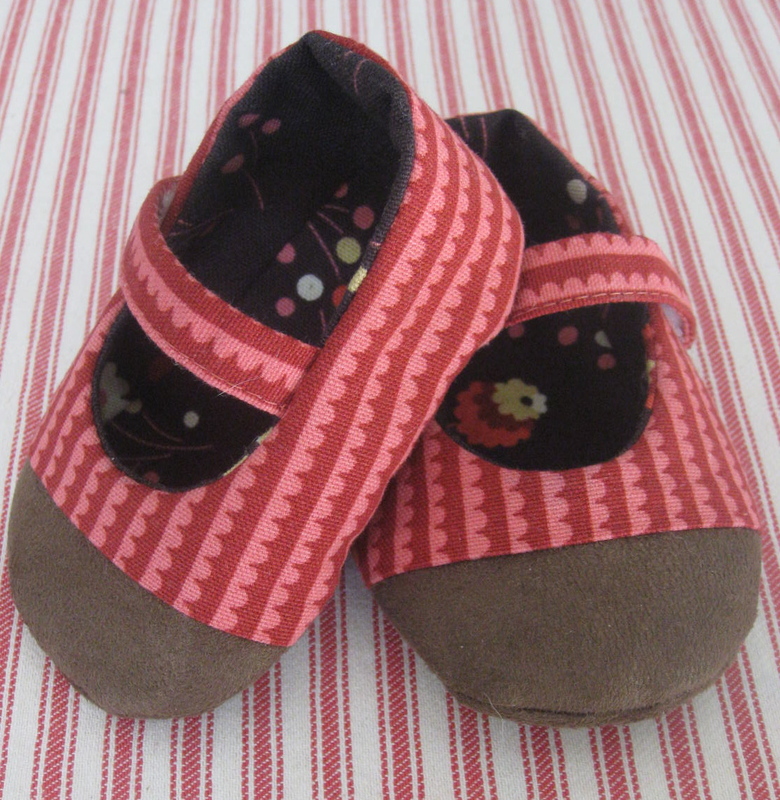 Anyway, I’m a pattern hoarder, and I had purchased the Juliet Baby Mary Janes pattern last year and never made them. What a perfect opportunity! I didn’t have any old suede items to upcycle, like an old handbag or jacket, so I used some faux suede I had on hand, and some canvas/duck cloth fabric I had from an estate sale. The pattern was very easy to follow. The only change I had to make was to the inner fabric shape. 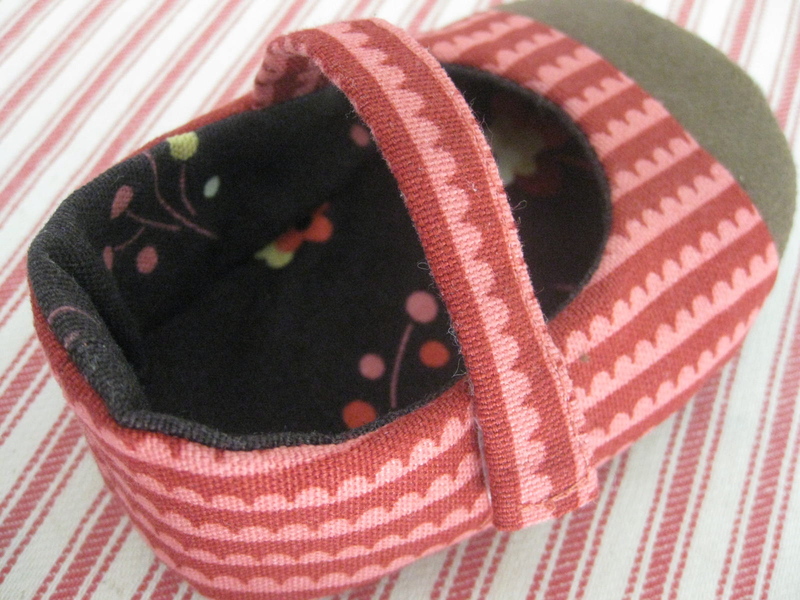 It barely fit inside the shoe without wrinkling, so I shortened all around by 1/8″. I would probably use a softer fabric for the inside next time. The bottoms are slippery, so my daughter hasn’t worn them much. I’ve read using puff paint can help create a non slip surface, but I haven’t tried it yet. They’re also a bit wide on her feet. These would’ve been great for my first daughter, but my second daughter has tiny, narrow feet, so I’ll need to bring that in on future pairs. Would you even attempt to sew baby shoes? Maybe as a baby shower gift? I think they’d made such a sweet gift. Thanks! I really enjoyed making them too. They inspired me to design a bootie pattern I’ll hopefully be putting up soon in time for the cold weather!